It's been a fantastic two weeks for Democratic presidential hopeful Bernie Sanders: The candidate has overcome a 19-point deficit in just one month's time in a key primary states. Back in August, Hillary Clinton was on top. 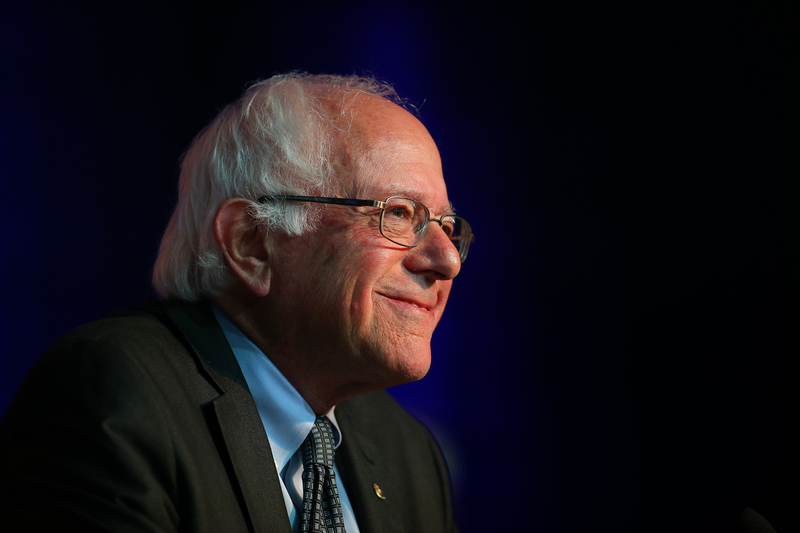 Now, for the first time ever, Bernie Sanders is leading in Iowa, albeit by a narrow margin, according to one poll. While Clinton has 40 percent popularity, Sanders is polling at 41 percent, according to a recent Quinnipiac University poll. Sanders' numbers have soared in New Hampshire as well. An NBC News/Marist poll released last week has Sanders polling at 41 percent, while Clinton has 32 percent. MSNBC is quick to note that three other polls have Sanders still being bested by Clinton in Iowa, trailing by a little over 28 percent in a Gravis Marketing poll published Sept. 1. A similarly large lead is shown in a Loras College poll that was released the very next day. However, the polling disparities between Clinton and Sanders drops to 11 in the aforementioned NBC News/Marist poll. Sanders supporters have already taken to Twitter to celebrate what's essentially a small win compared to what lies ahead, though. The Iowa caucus doesn't take place for nearly half a year; it will be held on Feb. 1, 2016. A whole lot can change in that amount of time. It's a younger demographic, and I think that it’s really good for the country [and] certainly for the Democratic Party for him to attract people to the polls. Hopefully he can keep them there in the general election for our Democratic candidates. ... I'm proud of what Bernie is saying out there, and it’s a reflection of what we fight for here. And then Bernie is Bernie, and he'll go to his place — you know, his distinct place — and we don’t all agree on everything. I think Bernie Sanders has been a terrific campaigner. He campaigns exactly as I would campaign if I were a candidate. He's not going around saying things about other people. He's just saying, 'Here's my program.' I think he's run a model campaign. He's not going to get elected, but I admire him. The true challenge for both candidates will come when the first Democratic presidential debate is held on October 13 in Nevada.